What is authentic Southern cuisine? Golden cornbread and crispy fried chicken come to mind, but what about black-eyed peas and okra– pound cake and peach cobbler? What makes a dish authentic and who has the authority to decide? 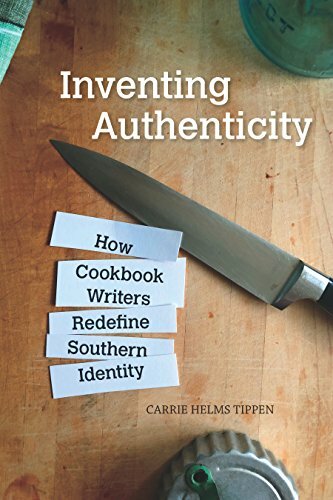 Join us for a “Southern” style barbeque lunch and panel discussion to celebrate the launch of Dr. Carrie Tippen’s newest book Inventing Authenticity: How Cookbook Writers Redefine Southern Identity which challenges accepted definitions of southern cooking and culture and explores the voices yet unheard who have used recipes and rebellion to create a notion of the South that reaches beyond traditional stereotypes and social mores. Southern Picnic lunch will be served. Program includes a panelist discussion featuring Dr. Carrie Tippen, Dr. David Davis of Mercer University and Wall Street Journal Food and Drink editor Beth Kracklauer, moderated by Alice Julier, Food Studies Director. Registration has closed. Please contact Melody Harris at m.harris@chatham.edu for additional information.